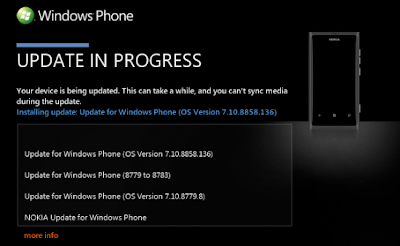 Good news for all the Nokia Lumia 800 User, reported by WMPowerUser, Windows Phone 7.8 is now rolling out via Zune for Nokia Lumia 800, . 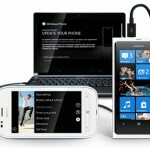 To check the update, simply connect your Nokia Lumia 800 to your Computer and check the update via Zune Software. The availability of the update is depend on your region or country. 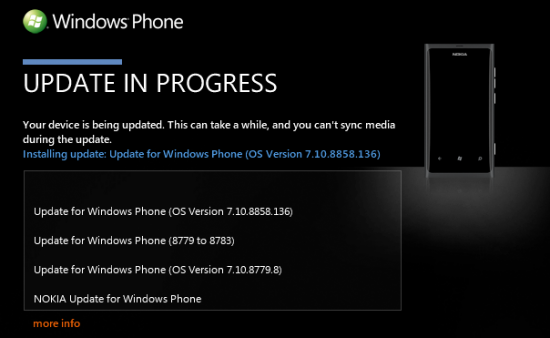 The update coming with 4 individuals update, The first one is Nokia update for windows phone, then update the windows phone from 7.10.8773 to 7.10.8779.8, then 7.10.8783, and the last one is 7.10.8858.136.
wah udah 2013 ni, belum release juga yah?